Our first priority is safety, so we only use ponies that are safe around children. Our ponies are beautiful and happy! They reside on four acres of pasture when they are not working, and get the best pampering and love we can give. We can provide four to six ponies, depending on your preference and budget. Our four ring pony carousel includes four ponies decked out in matching red white and blue saddle blankets. Includes two trained attendants. 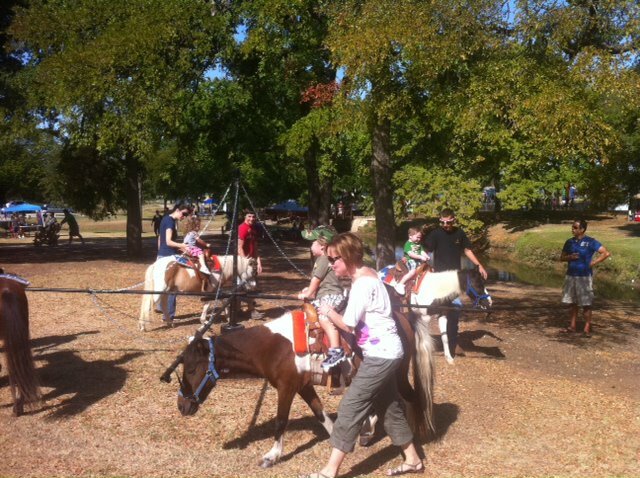 Our four ring pony carousel includes four ponies decked out in matching red white and blue saddle blankets. Includes three trained attendants.